This comic is the product of my former life as an engineering student and math tutor. Since I burned all my old college notes, I had to dust off my TI-83 graphing calculator for reference material. I also consulted Wolfram Alpha - that website is amazing. Also: there is still time to order Incidental Comics posters before the holidays! Follow this link or visit the "Poster Shop" tab at the top of the page. 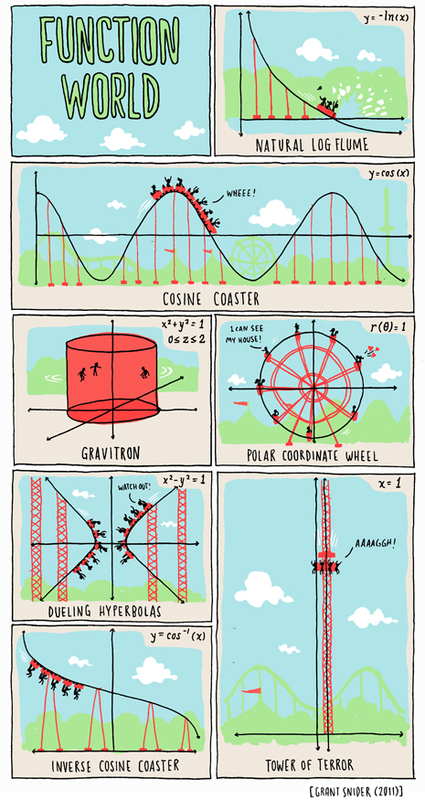 Actually none of them are functions - they're all thrill rides! Putting math problems into a piece of art! Nifty!